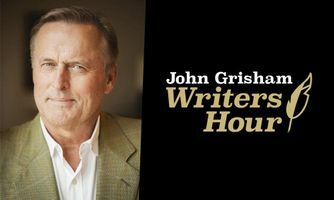 The inaugural 2018-19 John Grisham Writers Hour series at James Madison University begins with author John Grisham speaking with National Book Award winner, James McBride, for on-campus conversations about books, publishing and the writing process. Grisham will host McBride, a New York Times best-selling writer, musician and screenwriter from 4 to 5:15 p.m. on Oct. 17 in the Concert Hall of the Forbes Center for the Performing Arts. Admission to the event is free and open to the public. Doors will open at 3:30 p.m. and seating is on a first-come, first-served basis. Parking for guests will be available at the Warsaw Avenue Parking Deck and levels 3-5 of the Mason Street Parking Deck. McBride is the author of six books, including The Good Lord Bird, which won the National Book Award in 2013. His memoir, The Color of Water, spent two years on the New York Times best-seller list and is widely read in schools across the nation. Another novel, Miracle at Saint Anna, was adapted into a movie and directed by Spike Lee. McBride was awarded the National Humanities Medal by President Obama in 2015 and currently serves as the Distinguished Writer-in-Residence at New York University. The second installment of this new series will showcase Alice McDermott in Spring 2019. Details are forthcoming on Grisham’s with McDermott, who has written numerous novels, including Charming Billy, winner of the 1998 National Book Award, and That Night, At Weddings and Wakes, and After This, which were all finalists for the Pulitzer Prize.